This lovely S-Max comes with MOT until January 2020 and can be Taxed ready to drive away today and at just £290 it is much cheaper to tax than most 7 seaters. It does have a full service history with 10 service stamps in the book 8 of those are by Ford and 2 Independent garages. We have just serviced the car along with a new cam belt kit. Being the Titanium model it does have lots of extras such as 18 Inch Alloy wheels, Remote central locking, Alarm Immobiliser, Front and Rear parking sensors, Front fog lights, Privacy glass, Tow Bar with electrics, Half leather half suede seats, 4x Electric windows, Electric mirrors, Electric hight adjust drivers seat, Radio Cd player with Bluetooth phone connectivity,Panoramic roof,Drivers information system, Cup Holders front and rear, Cruise control, Air con, Fold away rear seats, Middle row seats fold and move independently, Drivers passengers and side air bags, Anti locking brakes, and more. 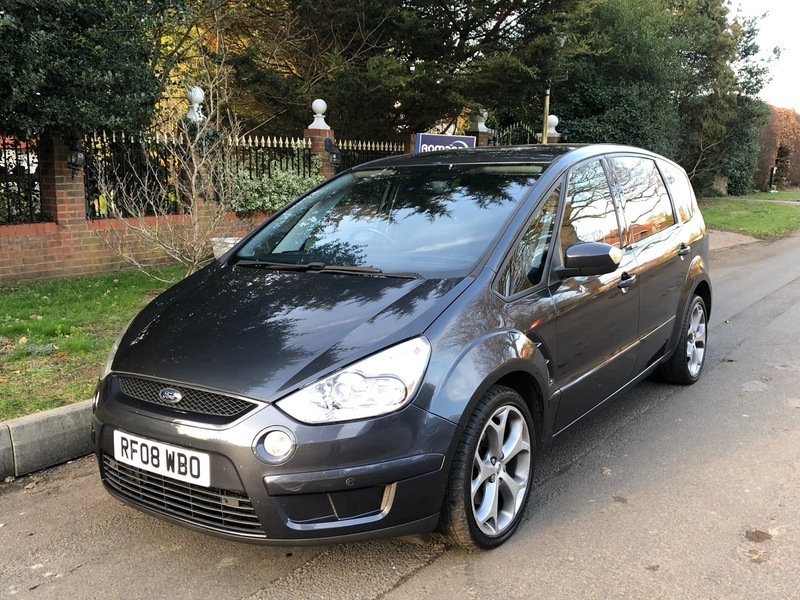 This really is a great Family car with a nice boot area even with all 7 seats in use and even bigger with the rear seats down, And with a combined MPG of around 38 it is also cheap to run.